Christian Folin, shown playing for Los Angeles last season, is hoping to be a regular with the Flyers. Coming off a solid season in Los Angeles, defenseman Christian Folin enters his first Flyers training camp with confidence that he can make an impact. Camp opens Friday in Voorhees at 9:15 a.m.
"I think I made some really good progress last year, and I showed that I can play in this league and I can play big minutes in this league against top guys on other teams," Frolin, a Sweden native, said after arriving early and taking part in an informal scrimmage with his new teammates Wednesday. "I want to keep building on that and have a good season." Added Folin: "I look forward to playing on the East Coast. I haven't played out here and I heard it's a little different and I think it's going to be a challenge. I just heard it's a little more offensive – not to say guys gamble more, but guys take off a little quicker and there might be a little more skill on the East Coast." If the 6-5, 220-pound Myers earns a roster spot, he will probably be a regular because it's unlikely the Flyers would have a 21-year-old rookie be an extra player. They want their young players on the ice, whether it's with the Flyers or their AHL affiliate, Lehigh Valley. Myers and Folin both have right-handed shots. If Folin makes the top six, he would provide physical play and would probably be used on the penalty kill, which was 29th out of 31 teams last season. Coach Dave Hakstol and GM Ron Hextall have praised Folin's work on the penalty kill. "I think I have a really good read," Folin said when asked what he would bring to the PK. "I've worked with some really good coaches over the years. I know my positioning really well and know how to play in a system….and I'm not afraid to block shots." Folin, 27, nearly signed with the Flyers as a free agent in 2014 but instead decided to take Minnesota's offer. "I liked the coach they had, Mike Yeo, and I played in Minnesota [in the North American Hockey League] before I went to college, so I kind of had some connection and friends in the area," Folin said. "That had an effect on me, too. I wanted to have something a little more personal. That's why I wanted to go there, but I'm really excited to be here finally and put on the orange jersey." 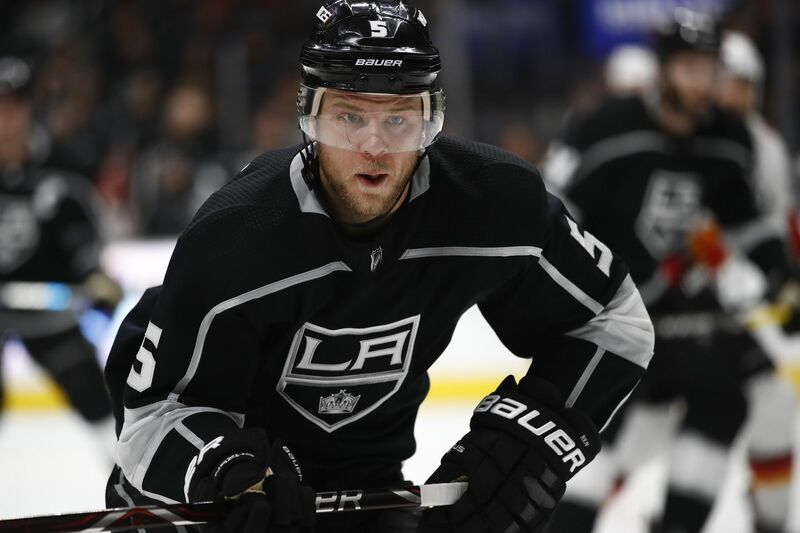 Folin, who starred at UMass-Lowell before turning pro, spent parts of four seasons with the Wild before playing a career-high 65 games last season with the Kings, notching three goals, 10 assists, and a plus-1 rating. "The second half I played basically every game and played big minutes," said Folin, who was plus-10 the previous season in Minnesota. "We had a couple guys go down and I was playing 20 minutes a night. I definitely gained confidence. I know how I can pay and I know what I need to do to be successful. If I just do that here, I'm going to be having a lot of fun."